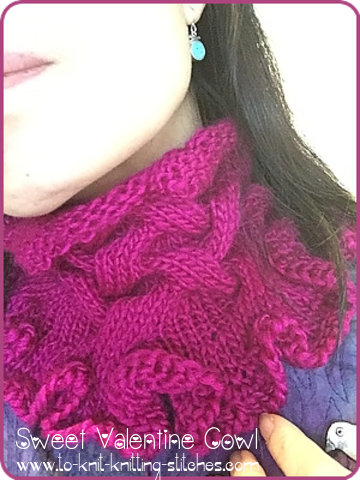 Sweet Valentine Cowl - Because You Deserve It! 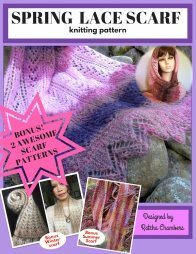 It has been awhile since my last pattern publishing. Now the holidays is over and It’s great to get back to writing again. This time I am going to share this lovely little neck cowl with you. It is knitted with 45 % silk and 55% merino worsted weight yarn (100g/220/241 yds) I ordered from craftsy.com. It is a bit ravel when not careful because the strain is not twisted together but it’s very shiny and soft. I used a little bit more than half of the yarn. 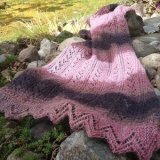 I’m not sure if craftsy still has any of this yarn left, but they sure carry a lot of beautiful yarns with great price. The color is so sweet and it’s might as well get this “Sweet Valentine” name for it. The cowl can be knitted in a week if you’re an average knitter. For fast knitter, this could be done in a day or two. The cowl is comfortably fit around my neck. I made 3 buttonholes for it so that people who have bigger head don’t have to struggle put it over their heads. If you like a looser scarf or you have a large neck, I recommend making a bigger size. A lovely, close-fitted cowl featuring 10-stitch cable and ruffle edge. It is knitted with light weight worsted weight yarn using straight needle US size # 10 (6mm). The work begins from the top with a few rows of stockinette st and then 3 sets of 10 sts-cable pattern. The button band and button holes are worked at each ends at the same time of the body. There is no seaming for this project except attaching the 3 buttons. Skill level: Early intermediate [need to know k2tog, yo, kfbk (knit in front and back of the stitch), and cable]. I will start adding video tutorial for these knitting methods for those who need a little help. Gauge: 4 sts/6 rows per inch using size US # 10 (6mm) needle. Size available: small (7 1/4 x 16 inches) - close fit and medium (7 1/4 x 20 inches) - loose fit. If you want even wider, you may add multiple of 15 sts to it. Just have to buy more yarn though. 110 (140) yards of Dk or Worsted weight yarn of your choice. Make sure to pick yarn that won’t irritate your skin. Cotton, silk, bamboo, acrylic and nylon are the lease itchy ones. Note: The number in the bracket refers to the bigger size. To make even bigger sizes, add multiple of 15 sts to an existing pattern. Optional: Place one stitch marker after the 6th st and another one before the last 6 sts to remind you of garter st button bands. Row 2 (wrong side): K6, place marker, p to the last 6 sts, place marker, k6. Row 5: K 6, *C10F, k5; repeat from * to the last 6 st, k 6. Row 11: K6, *k5, C10B; repeat from * to last 6 sts, k6. Row 3: K1, *k into front and back of the next st, k2; repeat from * to last 2sts, k into front and back of the next st, k1. Row 5: K1, *k into front and back of the next 2 sts, k2; repeat from * to last 2 sts, k into front and back of the next st, k1. Row 7: K1, *k into front and back of the next 4 sts, k2; repeat from * to last 2sts, k into front and back of the next st, k1. Bind off all sts loosely. Attach the 3 buttons on the opposite end of buttonholes. Enjoy! K2tog = Knit 2 stitches together at once. Kfbk (knit into front and back) = knit a stitch as usual but don't slip the stitch of the needle. Knit the back of the same stitch again and then slip it off. This make one increase. C10F = Cable 10 Front is done by placing the next 5 st on a cable needle and leave them at the front of work, knit the next 5 sts, then knit the 5 sts from cable needle. C10B = Cable 10 Back is done by placing the next 5 st on a cable needle and leave them at the back of work, knit the next 5 sts, then knit the 5 sts off the cable needle.